Know the culture - know how to do business! 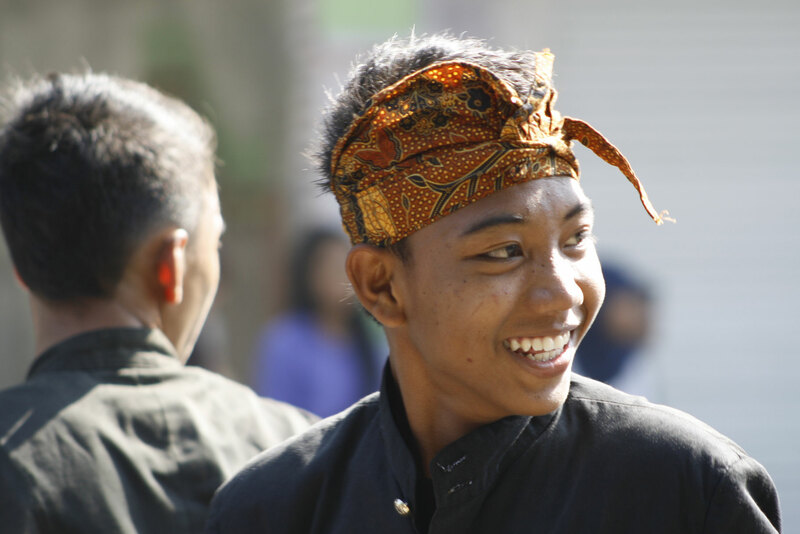 The online trainings you will give a quick but comprehensive overview of the cultural basics in Indonesia. You will learn about do's and don'ts when interacting with Indonesian business partners and get tips about effective communication. All course contents are developed for the needs of expats, business travelers and everyone who is working with Indonesia on a frequent basis. The training sessions are live, so that you can discuss with the tutor during the course, ask questions and interactively participate in the course. Our tutors are experienced expatriates, having a long track record in management positions in Indonesia and a solid knowledge on cross-cultural topics. This course will give you a good overview on the cross-cultural basics when interacting with Indonesian business partners, customers and team members. You will learn about the Do's and Don'ts when doing business in Indonesia and understand about principles in communication, pitfalls and cultural misunderstandings. The course is designed especially for the needs of business travelers, expats coming to Indonesia the first time and everyone who is dealing with Indonesia on a frequent basis. This course will give you insights in to the practice of management and leadership in Indonesia. You will learn what basic qualities a leader must have in Indonesia, how to communicate in critical situations and how to work with conflicts in teams and with other parties. The webinar will also give you best practice samples on leadership and management in Indonesia and prepare you for a management assignment in Indonesia. The course is designed especially for the needs of expats working in management positions, business managers who lead Indonesian teams and everyone who is dealing with Indonesia on a frequent basis. In this course you will learn who to manage projects in Indonesia and work with Indonesian teams, customers and contractors. The webinar will give you the necessary know-how to effectively run your projects, overcome cultural problems and improve your project management skills. This training is only for you! You would like to get an overview on the important topics when living and working in Indonesia and want to have this only for yourself? Book our individual online coaching and get the best for you. One of our experienced senior trainers will guide you trough the topics you would like to know at the time and date you want to have. After your booking has been received our team will contact you to set an appointment with you and evaluate your personal needs. Want to register for another event or book an in-house training for your firm? Contact us at training@indoconsult.de or call us at +62 21 83708874 for schedules and requests or use the below registration form for online registration. All prices are quoted in US-Dollar and without taxes. Depending on your country taxes such as VAT, GST, Sales Tax might apply and will be calculated during the payment process by our system..